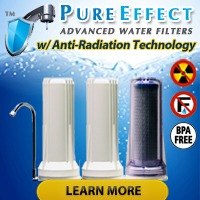 You Might Have Arsenic in Your Drinking Water? Once again an article has surfaced that raises the question, “Is there arsenic in your drinking water?” This time the Salisbury Post, a regional newspaper in North Carolina, gives a brief overview of where arsenic comes from and the risks associated with arsenic exposure. While not the most in-depth article we have ever seen on the topic of arsenic in drinking water, it does hit a lot of high points and cover a lot of important material in a succinct manner. There may be something lurking in your drinking water that you can’t see, smell or taste and scientists say it could cause diabetes. The potential danger is arsenic, a metal that naturally occurs in rocks, soil, plants and animals. Dr. Miroslav Styblo, an associate nutrition professor at UNC Gillings School of Global Public Health, spoke to a group Thursday at Catawba College’s Center for the Environment on the link between arsenic and diabetes. Styblo, a toxicologist, has been conducting studies in Mexico on whether arsenic in drinking water could be a cause of diabetes. 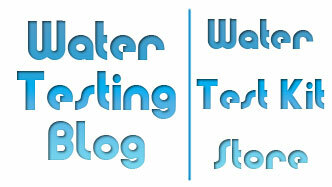 For people interested in testing their drinking water for arsenic, we suggest using one of the Arsenic Quick Test Kits. Below we have listed some of their smaller, more affordable field arsenic test kits. « Water Turned Soil Into… Mayonnaise?